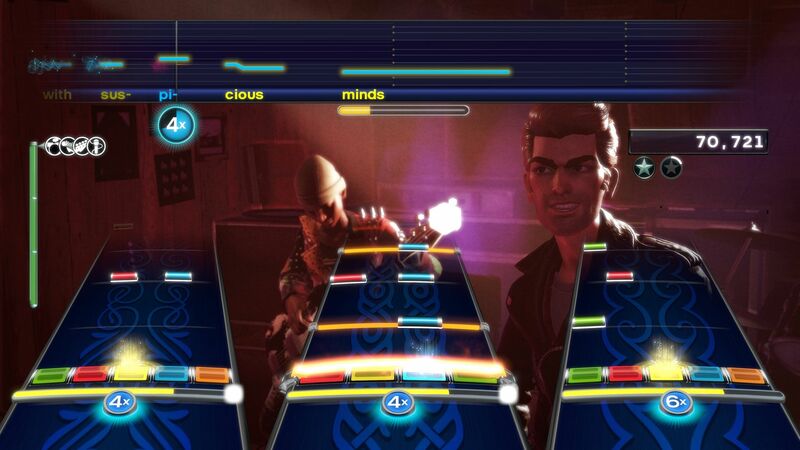 Rock Band 4, largely the Rock Band that you already know and maybe love, has one big change from previous games. That is the Freestyle guitar solo. Its intent is to break away from the traditional and sometimes very tough scripted solos, and get you playing something that makes you feel like you’re actually shredding. It succeeds in that sense. But, those who have spent many a long night playing Rock Band may find that the Freestyle’s novelty wears off quickly. It looks and sounds cool, but the challenge just isn’t there. Fortunately, Freestyle Solos aren’t mandatory in Rock Band 4. In fact, they’re easy enough to turn off, albeit a little counter-intuitive. You’d think it’s under the giant “Freestyle Solos” heading, but it’s not. Rather, hit the menu button on your guitar — the one that pulls up the little rectangle at the bottom of the screen. From there, navigate to “Options” and uncheck the “Freestyle Solos” button. Voila! You’re back to those intricate scripted solos that sound just as the actual songs do. Truthfully, it feels a bit callous to immediately switch off the new defining feature of thisRock Band game. Freestyle Solos are great for a party atmosphere, given that you can teach everyone how they work without too much frustration. However, the purists and the score-chasers won’t want any part of it. They’ll want their Rock Band how they’ve always had their Rock Band — and it’s quite simple to get that back.